OVERVIEW: A 1980s Far Echo of African music noir. Pandpieri, Kisumu. 1970s. Otis Dundos is a shy and awkward kid. In the ‘80s as a man-boy he tries to fit in. But he is more an archetype than flesh-and-blood youth. Performing with Nico Opija and KDF in Kondele gives him a beginning and a journey into music. As guitar student hitting all the required notes, Otis is the haunted genius. And KDF in Kondele is a training ground for demonology. He is desperate to leave Kondele’s dingy clubs to reach for the future. He seems to realize he is not accomplished until he moves to Nairobi. But the cold, cold heart Nairobi’s nefarious pop culture schools him into becoming a more spoiled artist. Returning to Kisumu with a new band, accompanied by queasy bandmates in the ranks of villainous neer-do-wells, he spirals down into the heart of Kisumu’s darkness, encountering upsurging whirlpools of struggle, survival, greed, envy, revenge, and exploitation. How does he wind down the hysteria; somewhat, and make a fairly good case for an extraordinary achievement backmasking in heavy benga music? That’s not the issue, the issue is that as famous as he is, Otis Dundos has more problems than a normal Kisumuan. 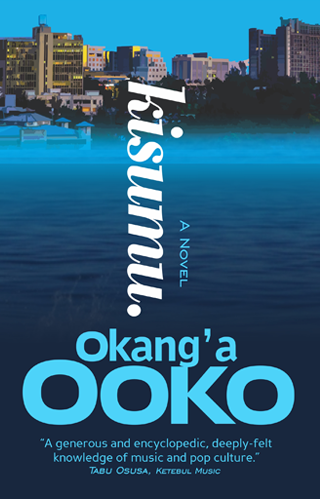 Providing a catharsis through comedy, lancing the Kenyan lakeside city’s moral boil with satire, KISUMU tells the story of ordinary men and women trying to live the Kenyan African dream. It is a story of humble beginning, awkward and misdirected fumbling and miraculous accomplishment.